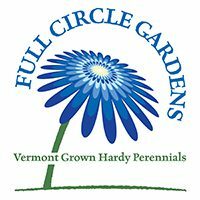 Our greenhouse is filling up fast here at Full Circle Gardens and one of the things we’re most excited about this season are our new, unique plant offerings. At the end of each season we ask our customers which varieties they’d like us to carry and we use that information to order for next year. With opening day just a few weeks away – Earth Day, April 22 – we thought we’d talk about five of our favorite new perennials for spring (in no particular order) and why you should add them to your garden. This fiery orange groundcover is a fantastic bloomer, offering up color from May all the way into September. That’s the kind of producer we love! Queen Of Orange grows to be about 12-15” tall and likes full sun but will tolerate some afternoon shade. For Queen of Orange to thrive in your garden, give it plenty of water and plant it in well-draining soil. If you don’t have well-draining soil, plant this easy perennial in a raised bed or a large container for bold color on your patio. Like all Geum, Queen of Orange spreads rapidly in the garden, is deer resistant, and attracts a menagerie of butterflies to the garden. What more could you want? 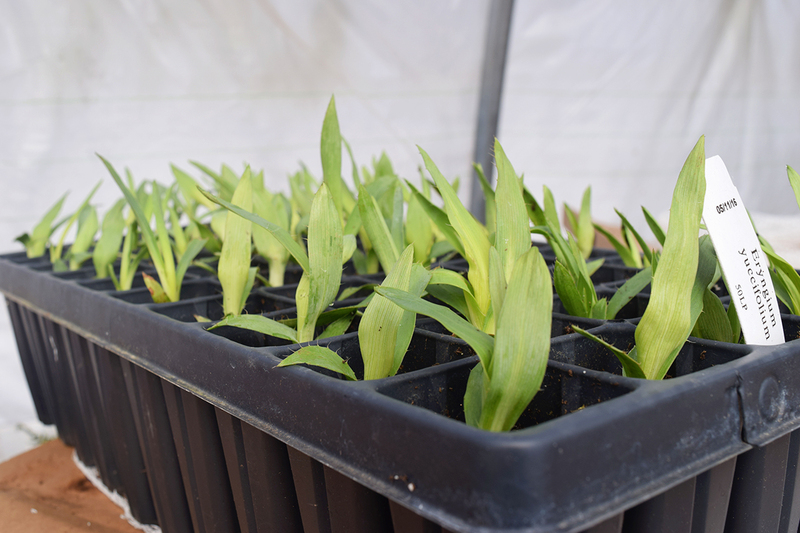 Eryngium yuccifolium Rattlesnake master in the greenhouse in March. Rattlesnake master is aptly named; white, unique blooms steal the summer show and flower from June all the way until September. This native perennial thrives in dry soil and requires little supplemental water or maintenance once established. Growing to be 4-5’ once mature, this unique perennial is a fantastic choice for the back of a garden. The green-white blooms offset your favorite colorful blooms and add magnificent texture to the garden. This pollinator magnet attracts a parade of hummingbirds and butterflies to the mid-summer garden, offering up huge color for 6-8 weeks. This easy-to-grow perennial grows to be 36” tall, making itself right at home in the mix of your perennial garden or in a stylish container. Helenium is a native plant and requires little water or maintenance once established. Mardi Gras will quickly become one of your favorite bloomers, offering up plenty of flowers for both pollinators and cut bouquets. Trollius ‘Alabaster’ in the greenhouse in March. Trollius, commonly known as Globeflower or Buttercups, is a versatile and handsome perennial. Alabaster thrives in full sun to partial shade and grows best in moist soil. Once the spectacular, semi-double cream (or very pale yellow) blooms are finished blooming in early summer, cut plants back to encourage gorgeous foliage to last throughout the season. Alabaster is a fantastic choice for a border garden, offering up attractive foliage once it’s done blooming. This perennial is deer and rabbit resistant and attracts a variety of pollinators to the garden, including butterflies and bees. Veronica, also known as Speedwell, is the perfect way to attract a drove of bees and butterflies to the garden. A compact and elegant perennial, Pure Silver is the perfect choice for the edge of pathways, rock gardens, borders and more. This veronica appreciates well-draining soil and its cobalt blue blooms are so striking when they open in late spring. Remove spent flower spikes to encourage re-blooming. Are you as excited as we are about these five new fabulous perennials? Come to the greenhouse on opening day, April 22, to learn more and pick up your favorites. We’re sure these unique varieties will go fast!